(From left) Haroon Kalla from Awaqaf, Publisher Yaseen Theba, Al Firnas Patel from Crescent Lifestyle, CEO of Awqaf SA ,Zeinoul Abedien Cajee, Saudi Arabia’s Ambassador to South Africa Ghorm Said Malhan, Shaheen Essop from the South African Hajj and Umrah Council and social activist Yusuf Abramjee. 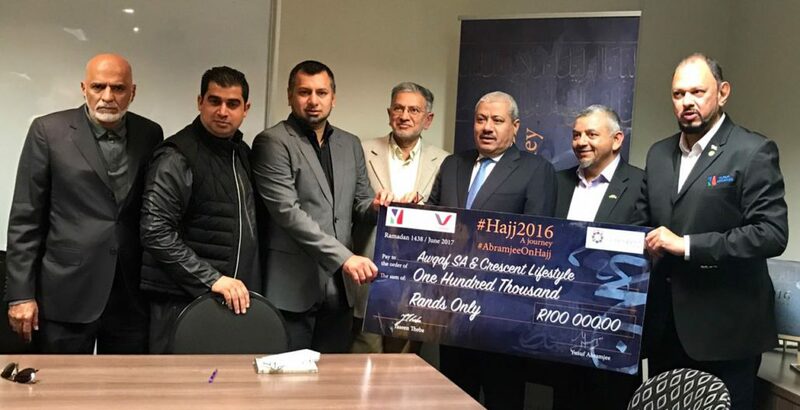 Two South African charities received a boost when R100 000 was donated to them to assist needy pilgrims traveling for the annual Hajj Pilgrimage to Saudi Arabia. 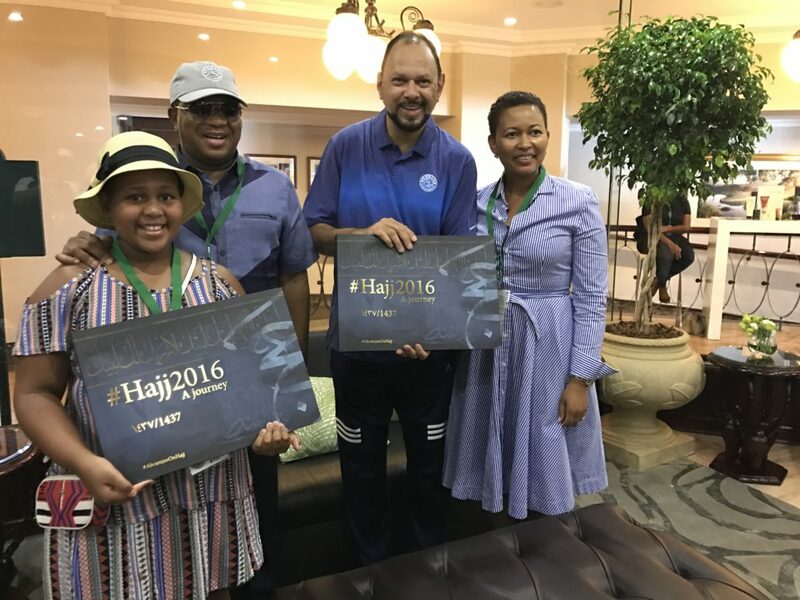 The proceeds of the coffee table book, #Hajj2016 #AbramjeeOnHajj, published by social activist, Yusuf Abramjee, were presented to Awqaf SA and Crescent Lifestyle in Pretoria today. Abramjee published hundreds of photographs of his Hajj journey last year in a high-gloss A3 coffee table book. “The idea was to create awareness of Hajj which is compulsory for all Muslim who can afford it at least once in their lifetime. Also, it brought back many memories for those who have been on Hajj. We need to promote social cohesion and religious tolerance and that’s what the book does,” said Abramjee. Abramjee said the “Hajj Waqf” (Hajj Funds) helped scores of pilgrims annually. Abramjee thanked publisher Yaseen Theba from Vision Branding and all the contributors and sponsors. 500 books were donated to libraries, schools and religious institutions. #Hajj2016 received the support of scores of prominent South Africans including cabinet ministers, business leaders and social activists. Saudi Arabia’s Ambassador to South Africa, Ghorm Said Malhan, said: “South African Muslims are a key part of South Africa as they became completely integrated into society and influenced all areas of life of SA culture. “The book is indeed a clear example of the strong relations between Saudi Arabia and the South African Muslim community in particular, and the entire South Africa in general,” said Ambassdor Malhan. The Ambassdor announced that the royal embassy of Saudi Arabia would also make a donation to the Hajj Fund. “We are certain that the photographs presented will inspire many to look forward to this awesome pilgrimage-journey of a lifetime. “We are also confident that the book will bring a better understanding about not only one of the great pillars of Islam, Hajj, but also about Islam as a complete and comprehensive way of life, to both Muslims and people of other faiths and persuasions – especially in an era of Islamophobic tendencies,” said Cajee. “The contribution to the “Hajj Waqf” from the proceeds of sales and donations of the book will be invested in the Awqaf SA Hajj Waqf Fund and its proceeds will be used on a sustainable basis to assist poor and needy pilgrims (or Hujjaj), and also to some the opportunity to experience the sacred journey. Al-Firnas Patel, Managing Director of Crescent Lifestyle said: “We congratulate Yusuf on the successful publication of the #Hajj2016 book and its objectives. “Crescent Lifestyle has for the past nine years added value to the lives of tens of thousands of South African Muslims through its unique product. In addition Crescent Lifestyle has also donated from its profits close to R4 million on behalf of its members to various beneficiaries and sponsored over 115 of its members to go for Umrah (mini pilgrimage). “We welcome the funds towards the Hajj Fund received from Yusuf through his book and this will facilitate needy muslims to fulfill their dreams of going for Hajj. “This is a noble and an admirable initiative and we encourage others to take on such initiatives. Together we can make a difference,” added Patel. “It makes the book come to life” – the Documentary based on Yusuf Abramjee’s photo journal #HAJJ2016 – #ABRAMJEEONHAJJ. Now, Paul Tilsley’s film, available here for viewing. All rights reserved, but you may reload this onto your social media site provided you inform abramjee.com. 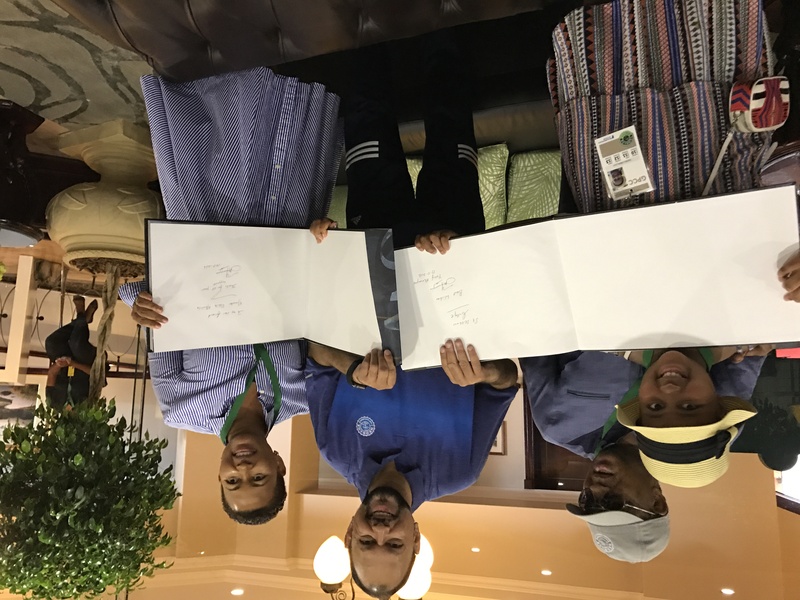 Social activist Yusuf Abramjee presented a copy of his coffee table book #Hajj2016 #AbramjeeOnHajj to Sports Minister Fikile Mbalula & his wife Nozuko today. One copy was presented to their daughter Nonkululeko (10) for St Stithians College Library. Hundreds of books are to be donated to libraries and proceeds of the book are going to charity. The book has 400 photographs taken from a camera phone of the pilgrimage. Filled with at least 400 photos, former journalist Yusuf Abramjee’s new book, #Hajj2016 A Journey, documents one of Islam’s five pillars that millions of pilgrims worldwide long to undertake. Muslims are obliged to perform the Hajj – a sacred pilgrimage to Mecca in Saudi Arabia – at least once in their lifetime, if they can afford it and are healthy enough to do so. Abramjee did his first Hajj this year and this afternoon he is scheduled to launch his book, an A3-sized landscape hardcover, at the Centre for the Book in Cape Town. “My Hajj was the journey of a lifetime. It has changed me,” said Abramjee, reiterating what many have concluded before him after returning from the five-day ritual. He said the journey had offered him a “massive spiritual boost”. It also gave him hundreds of photos as he used his mobile phone to document every step of the way. 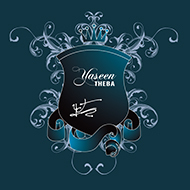 Abramjee’s friend Yaseen Theba convinced him to compile the photos into a coffee-table book and took on the project of completing the book in a few weeks. All sales income will be donated to an NGO, Awqaf SA, which funds Muslims who cannot afford to perform the Hajj. 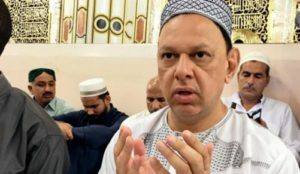 Reflecting on his recent travel, where he was among almost two million Muslims from around the world, Abramjee said the experience was a “multinational fellowship of faith”. “I met pilgrims from across the globe: Fiji, Barbados, Australia, America, Indonesia, India, Pakistan, UK, Egypt, Nigeria, Ghana, Mozambique and Zambia among others,” he said. “This was wholly contrary to the popular Western Islamophobic narrative of Muslims being terrorists. There was so much care and compassion shown in the Hajj, flying in the face of such bigotry and prejudice. “Yes, we live in a world of turmoil. So, here we pray for global peace. Islam is under attack and misconceptions about our religion are rife. Abramjee said he had had “some trepidation to begin with”, considering fatalities due to stampedes in recent years on hajj. “I had heard horror stories from other South African pilgrims,” said Abramjee. 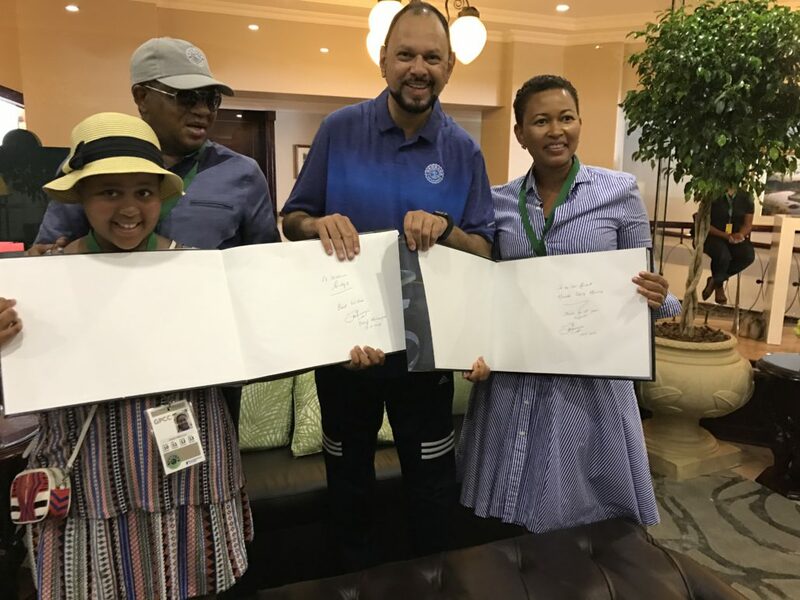 Extending themselves while on Hajj, Abramjee and other South African pilgrims raised funds to launch a feeding project for less fortunate pilgrims in Mecca. This is also documented and shown in Abramjee’s book. “South African pilgrims rallied together to raise funds from home to buy food and water for almost 12 000 needy pilgrims. “It was a small gesture that breathed life into the spirit of unconditional charity that underpins our Abrahamic tradition,” said Abramjee. Among Abramjee’s Hajj highlights was performing a “religious tradition that goes back several centuries in time including the prophets Adam and Abraham”. 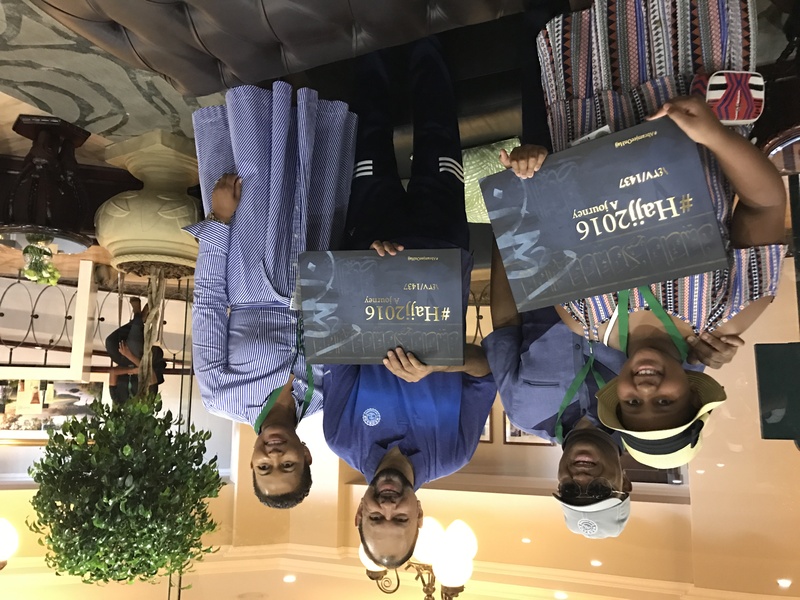 “The Hajj is all the more poignant and emotional experience when you realise that… Hajj forces pilgrims to become deeply reflective,” said Abramjee. “Another miracle for me is the sacred well of zamzam (holy water found in Mecca), which still exists within the precinct of the Grand Mosque. #Hajj2016 A Journey has already received praise and feedback from a host of prominent voices, including former public protector Thuli Madonsela, who said the book “opens a window into an inspiring and insightful spiritual journey that is enlightening about the essence of true Islam”. Ahmed Kathrada, an anti-apartheid activist imprisoned alongside Nelson Mandela on Robben Island, said the book “will not only evoke memories of spirituality, but will show unity in diversity”. 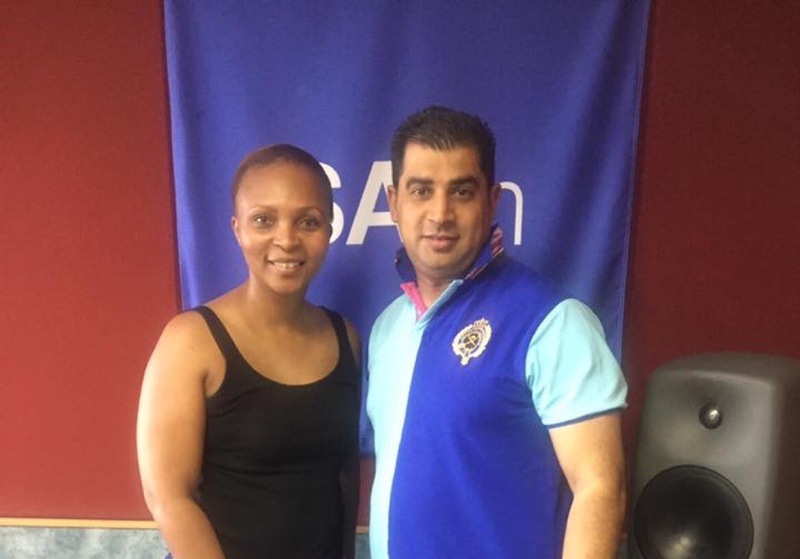 Meanwhile Abramjee, who used to head the newsroom for multiple radio stations as well as a national anti-crime initiative, was soon busy with his efforts as a social activist after returning home from the Hajj. Ironically, he took up a battle against the Saudi Arabian government’s announcement that it would increase its visa fee for local pilgrims to almost R10 000. “We are continuing the fight and we hope the Saudi government will review it,” said Abramjee ahead of his book launch.